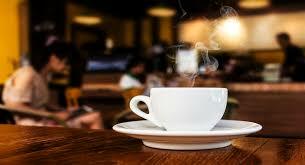 Have you ever had a cup of coffee at a corner cafe and wondered if it’s possible to recreate it at home? Let me just assure you that great coffee is attainable every single day if you have a quality brewing system and follow a few guidelines. First, let’s visit the 4 staples of perfect coffee: grind, altitude, water temperature and extraction. Though this factor is often overlooked when discussing variables in the brewing process, altitude is arguably the most important component. “Why,” you ask? It controls the boiling point of water! The boiling point that we all encountered in high school science labs is 212 degrees Fahrenheit. But that’s a blanket statement. Because the higher up you get from sea level, the easier it is for water to boil. And likewise the lower you are from sea level, the harder it is to boil water. The boiling point of water leads us to our next factor- temperature! According to Verve Coffee Roasters, water temperature guidelines often refer to the temperature of the “slurrey” aka coffee grounds+water. Typically water is poured over the coffee grounds right off the boil, which again, is dependent on the altitude. But that grounds and water combo should only reach 205 degrees, but shouldn’t be cooler than 195. If the coffee is brewed with water under that 195 degrees, you will experience the bitter flavour of under-extraction. And if the coffee is brewed with water above that 205 degrees, the flavour notes will be damaged and taste burnt. Another variable with the ability to make-or-break a batch of coffee is the evenness of the grounds bed. If your grounds are not laying flat in the brewing unit, you’ll end up having different granules extracting at different rates– leaving the coffee tasting bitter and burnt at the same time. This characteristic is closely related to the previous section because it is also a contributing factor to proper extraction. It is absolutely imperative that you grind your beans fresh before every brew and to the right degree of fineness or coarseness. But this is a usually separate machine altogether. 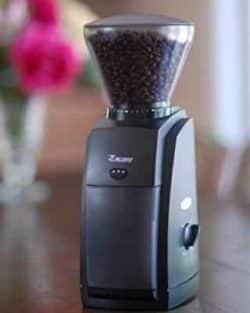 Check out my article Burrs vs Blades for a more in depth description of what additional equipment you need to have great coffee every morning. But if you’re willing to take my word for it, here is my favorite grinders that have all the bang for every buck. If you’ve ever made a pour over or a french press, you’ve witnessed the way coffee expands or “blooms” when it comes into contact with water. What’s happening as the grounds swell up is the release of the carbon dioxide that was produced during the roasting process. The better the bloom the fresher the coffee. As the grounds degas, the flavors release and infuse more readily. I know you may be thinking, who certifies coffee machines. Truth be told, most coffee companies run their own tests during the manufacturing process. 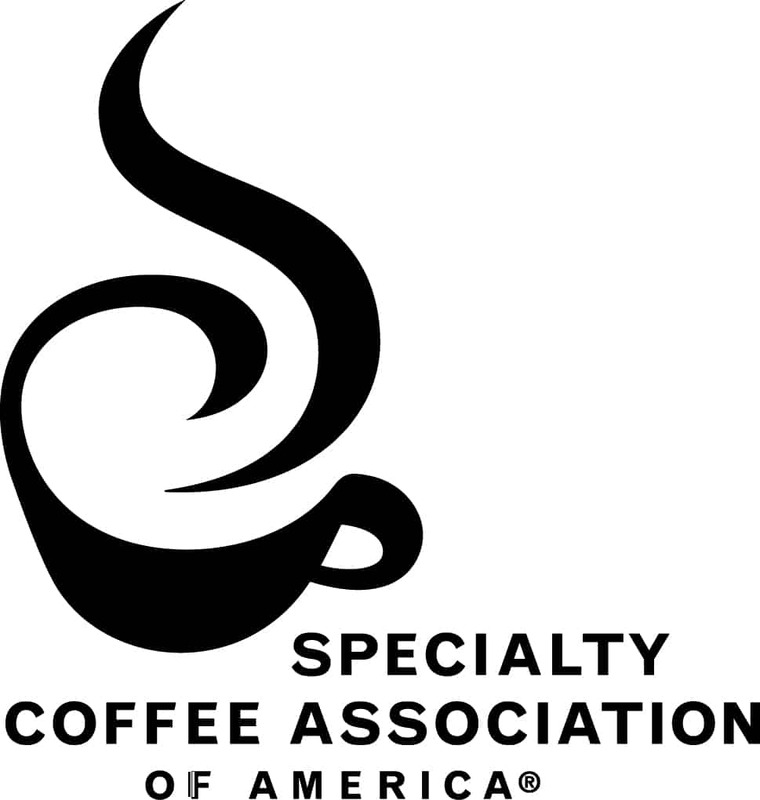 But there is a governing body whose stamp of approval is the holy grail in the coffee industry: the Specialty Coffee Association of America. This non-profit is made up of coffee enthusiasts of all kinds: roasters, growers, engineers, baristas and cafe owners. They re devoted to sustainability and excellence within coffee culture. Every year, they run rigorous testing for home brewing systems– ensuring that they meet the foundational standards we talked about in the previous sections. They have a lot of the same capabilities, but this first machine is pretty high tech in comparison to its predecessor. 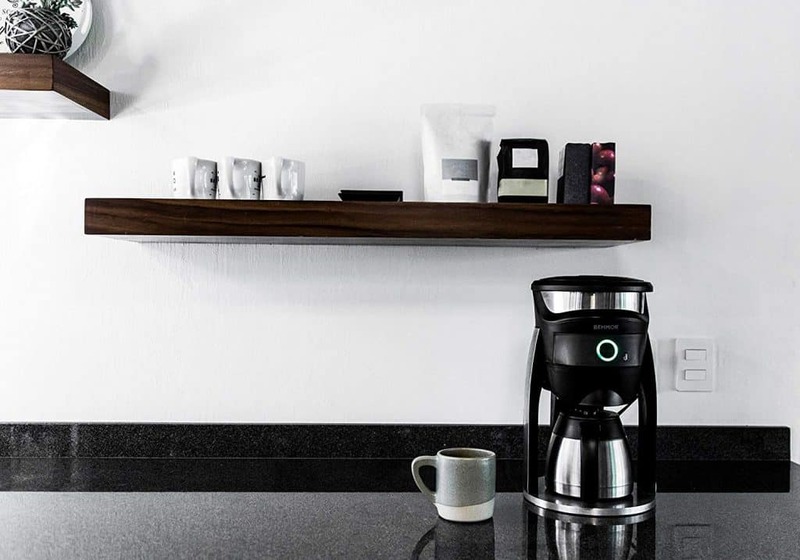 The Connected Coffee Maker puts individually customized coffee literally at your fingertips. With its smart technology, you can operate the whole rig from your phone! The iPhone and Android friendly app gives you full control of all the facets of the brewing process. Once all of those settings are programmed, the stainless steel reservoir starts warming the water. You can brew up to 8 American standard 5 oz cups of coffee. It takes about 5 minutes to heat to your desired temperature. Then the water will pour through the shower head in the brewing chamber. It will bloom the grounds for the amount of time you set and then pulse pour every 15 seconds to ensure that the grounds are extracting evenly. You’ll be able to enjoy your coffee in about 5 minutes, depending on how big the batch is. But if you simply can’t wait for that morning cup of joe, this model has an automatic plug in the brewing basket. So you can pour mid-brew without making a mess. It’s color coded brew button changes so that you know where it’s at in the brewing process. It lights up orange when it’s heating up. It turns purple during the bloom. It shines light blue during the actual brew time. And as always green means go! If this model seems really great but too fancy for your taste, there is a more standard option available! This guy has all of the important elements of the previous machine, but it’s far more practical. It is still fully equipped with the 40 oz stainless steel water tank. It still heats up to that perfect 190-210 degrees Fahrenheit range in about 5 minutes. They stuck with the shower head saturation into the mesh coffee filter. 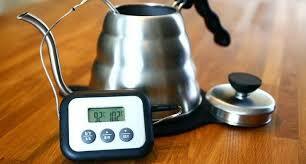 It still pulse pours a la pour over style to get you the most well rounded batches of coffee. 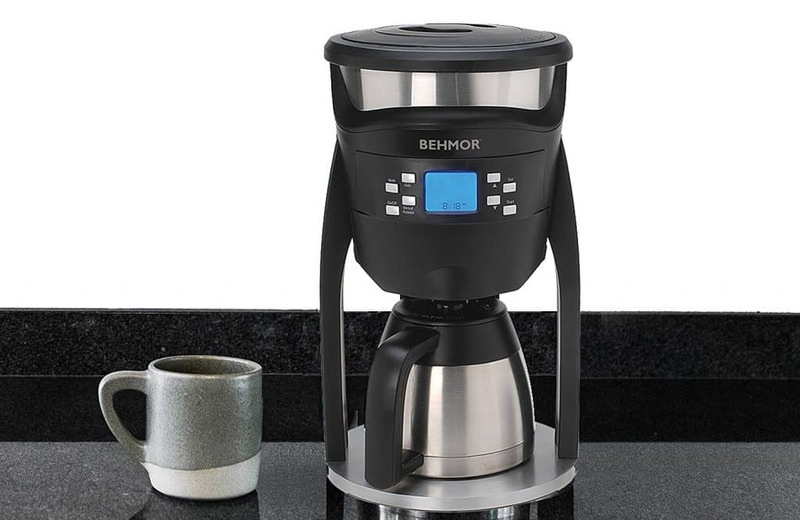 But all of the controls that you could have on the app with the Connected Coffee Maker are programmed directly into the rig with their intuitive digital display. Not only are the buttons easy to use, there is on-board memory. So if you have a power outage, or you move to a new apartment, your settings will pop right back up when you plug it into the kitchen outlet. And they implemented another sustainable component: sleep mode! After a few minutes of inaction, this machine powers down it’s LED screen to save electricity. And there you have it! Two amazing options for cafe quality coffee in your home! Click on either of the product photos to make your purchase today!